Steven Scalet received his Ph.D in philosophy at the University of Arizona. As a young undergraduate student, Scalet took an Introduction to Philosophy class that blew him away and he has been hooked ever since. After receiving his doctorate, he taught at Binghamton University (SUNY) for a decade, where he directed the Program in Philosophy, Politics and Law and was an Associate Professor of Philosophy and Economics. Professor Scalet taught a popular philosophy course at Binghamton called “Markets, Ethics, and Law” that enrolled thousands of students and formed the basis for his text Markets, Ethics and Business Ethics (forthcoming, Pearson). Professor Scalet is the recipient of the State University of New York Chancellor’s Award for Excellence in Teaching. He traveled widely around New York State to lecture on topics of corporate responsibility and the nature of democracy as a Speaker for the New York Council for the Humanities. He also led two semester-long study abroad programs, where he taught English and American students as a visiting faculty at the University of East Anglia in Norwich, England. 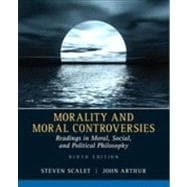 Professor Scalet publishes articles in applied ethics and political philosophy, and is currently an Associate Professor of philosophy at the University of Baltimore (USM). Although no longer 18, he still ponders the meaning of it all and lives happily in the Baltimore area with his wife Debby and daughter Sophia. John Arthur was a Professor of Philosophy at Binghamton University (SUNY) before his untimely death from non-smokers lung cancer. He was beloved as a teacher and mentor to faculty, graduate students, and undergraduate students in his nearly twenty years at Binghamton.